Friday is the big day! 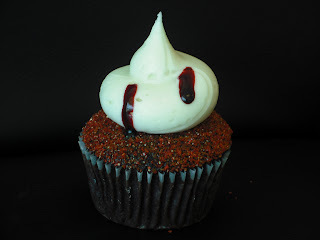 Twilight finally hits theaters! As much as I want to see this movie on the day it premieres, I will postpone my enjoyment one extra day to avoid the stampede of teenage girls. 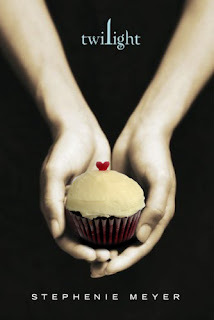 In celebration of the opening of this movie, I am posting a few pictures of two of my favorite things--cupcakes and Twilight. Enjoy and go see the movie this weekend! hi!! sorry for just dropping by here but I couldnt resist to say something hehehe. the pic of the book cover is so cool! 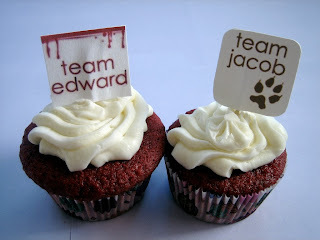 !..btw, I'm team edward too.